Minecraft PvP Texture Pack FIRE PvP by Jaba was made for Minecraft 1.8/1.7 but is also compatible with most lower versions. 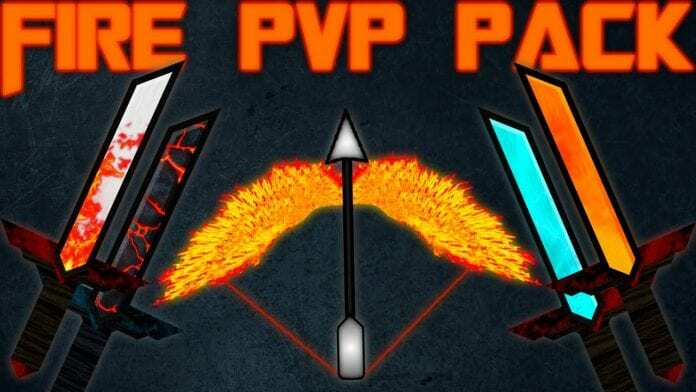 Fire PvP Texture Pack is one of the most loved PvP Texture Packs ever created. Jaba created this pack after the groundbreaking success of his Kratos - God of War Artwork. According to Jaba his FIRE PvP Texture Pack was the first PvP Pack he ever made. If you like this Resource Pack you definitely should also check out JabaPacks other creations such as Jaba 1k and Jaba's 1.11 Sphax Edit. Minecraft PvP Texture Pack Fire PvP is recommended for all people who love custom high resolution minecraft pvp textures. All in all a great Resource Pack. Unfortunately it is not compatible with 1.11/1.10/1.9.